ELEAGUE shared initial details on the CS:GO Premier 2018 during its live coverage of The ELEAGUE Major: Boston Grand Final on Twitch and ELEAGUE’s innovative Game Command video player. 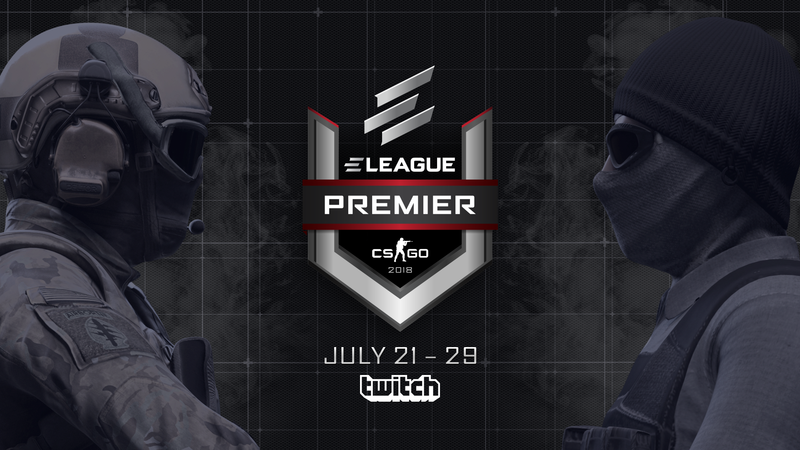 The CS:GO Premier 2018 will mark the first time that ELEAGUE will adopt an exciting, higher-stakes live event format. The event will begin with a five-day group stage, July 21-25, featuring eight invited teams playing in a double-elimination, best-of-three bracket. Four teams will then advance to the best-of-three Semifinals matches on Saturday, July 28, with the winning teams facing off in the Final on Sunday, July 29. All competitions will be held at ELEAGUE Arena in Atlanta. CS:GO Premier 2018 is ELEAGUE’s fourth non-Major tournament for the game and will come on the heels of the current ELEAGUE Major: Boston. Over the last year, ELEAGUE expanded its portfolio to include Street Fighter V, Injustice 2, Rocket League and Formula E, establishing a consistent schedule of events. ELEAGUE also introduced new episodic series, including Road to The International Dota 2 Championship, debuted a new amateur series and tripled its number of sponsors. Throughout 2017, ELEAGUE was distributed to 56 networks globally. Additional announcements surrounding the CS:GO Premier 2018, including teams, casters and prize money will be made leading up to the event.